He speaks very well indeed in his new book Rush: Album By Album. 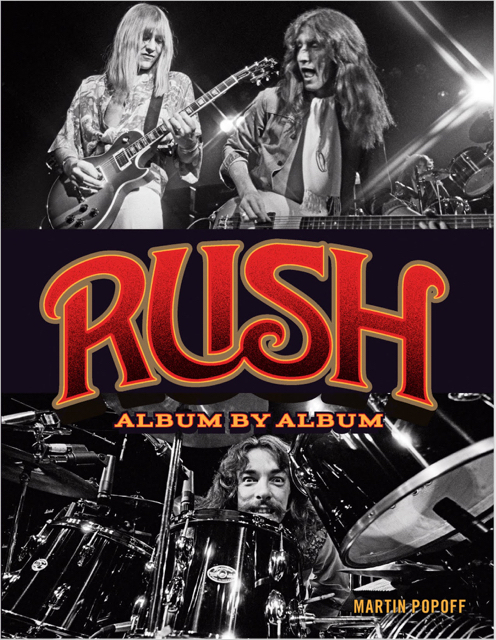 Album cover artwork to music and lyrics, to pretty much all that Neal Peart, Alex Lifeson and Geddy Lee created, Popoff and guests Kurt Hammet, Mike Portnoy, super Rush fan Eddy Maxwell-and many others, run through a chapter-by-chapter analysis of each Rush studio album. No stone is left unturned with what we learn here, from instrumentation the band used, to what was happening ‘behind-the-scenes’ with Rush and its record companies, to what songs were played on subsequent tours and how the fans felt about those set lists. If what you know of Rush is “Limelight” or that they are a power trio from Canada, or if you have followed the band since the 70’s, you’re bound to learn lots from Rush: Album By Album and come to appreciate this very special band all over again or in a way you may never have…or should all over again.